Last week a co-worker and I attended the National Digital Newspaper Project Awardee Conference in DC. One of our fellow NDNP awardees from Arizona wrote about her experiences at the conference. 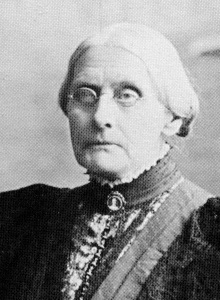 Susan B. Anthony, in her older years. Courtesy of Wikipedia. First appearance of a woman on charge of illegal voting. 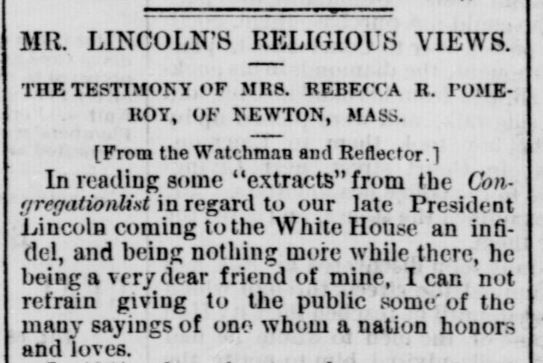 The Evening Journal, November 25, 1872. Hoosier State Chronicles. 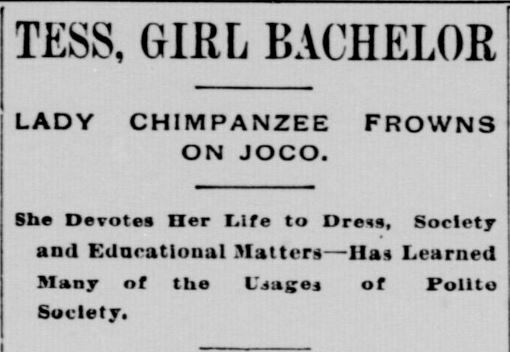 Marshall County Independent, December 17, 1897. Hoosier State Chronicles. 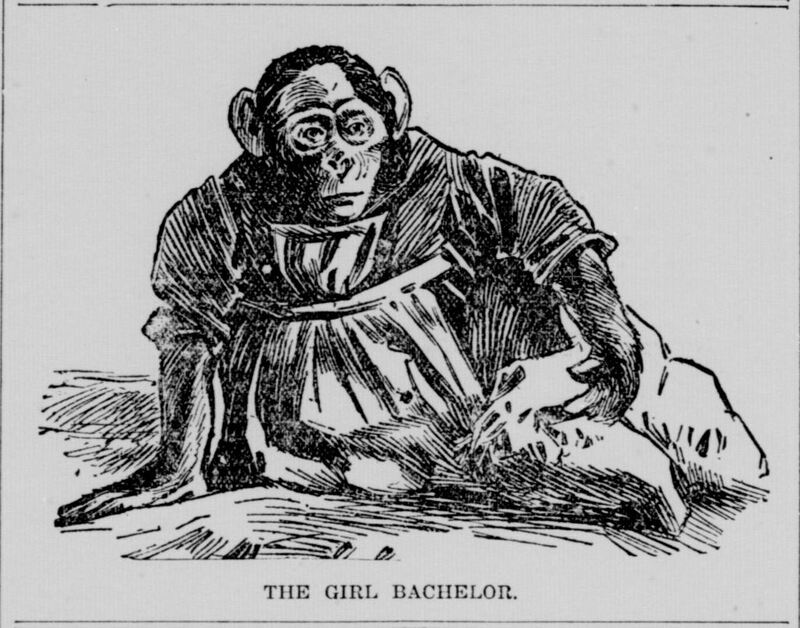 Indiana State Sentinel, March 18, 1891. Hoosier State Chronicles. David C. Hennessy (1858 – October 16, 1890) was a police chief of New Orleans, Louisiana. His assassination in 1890 led to a sensational trial. A group of not guilty verdicts shocked the nation, and an enormous mob formed outside the prison the next day. The prison doors were forced open and 11 of 19 Italian men who had been indicted for Hennessy’s murder were lynched. The leaders of the mob justified the lynching by claiming the jury had been bribed, but only six of those lynched had been put on trial. In addition to the 11 lynch victims, five prisoners were severely wounded in the attack and died soon afterwards. Charles Mantranga, believed to be a ringleader, survived. A grand jury investigated and cleared those involved in the lynching. The word “Mafia” entered U.S. popular usage due to newspaper coverage of the trial and lynchings. The U.S. government paid a $25,000 indemnity to Italy to repair and restore broken relations due to the anti-Italian sentiment raging across America. The lynchings were the subject of the 1999 made-for-TV movie Vendetta, starring Christopher Walken. 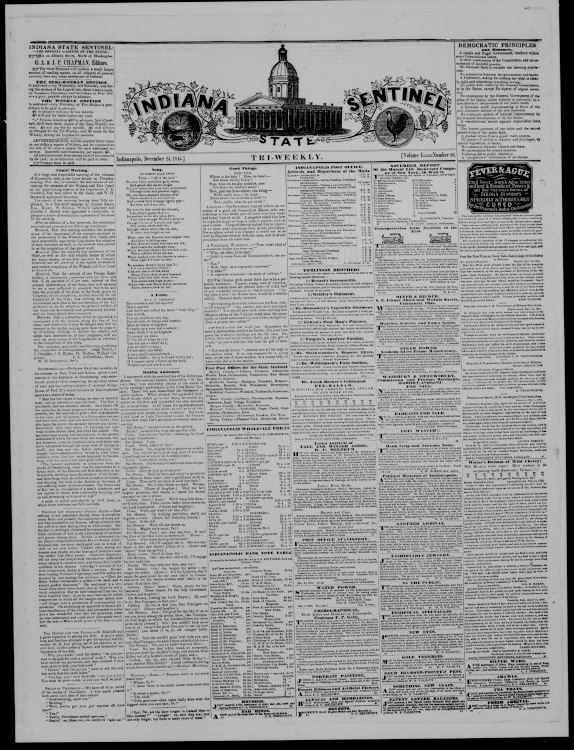 Indiana State Sentinel, December 25, 1845. Hoosier State Chronicles. Although the donkey is used as a symbol of the U.S. Democratic Party, it has never been officially adopted. The rooster, however, was. 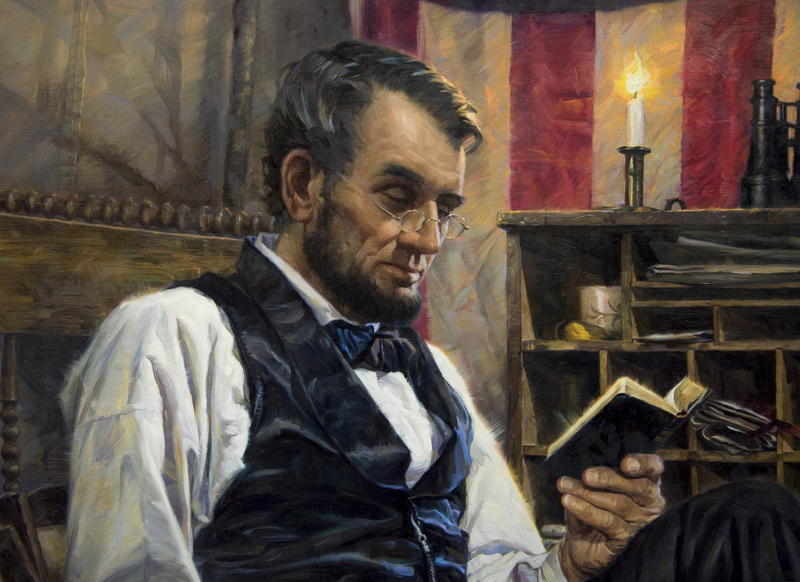 The story begins in 1840, when the famous “Log Cabin Campaign” occurred. It must be said that the donkey did come first. In 1828, Democrat Andrew Jackson was ridiculed and called a “jackass” by the supporters of John Quincy Adams during the heated presidential campaign. However, it wasn’t used until 1870 when Thomas Nast used it as a symbol for the Democratic Party. And it has been widely recognized as the party’s unofficial symbol since that time. Jasper Weekly Courier, May 16, 1913. Hoosier State Chronicles. 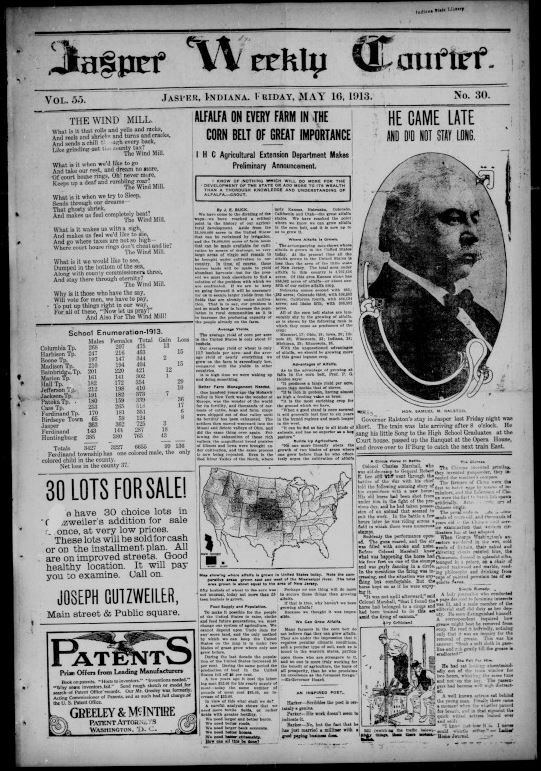 Samuel M. Ralston, Indiana: Governor, Senator, endorsed by the KKK and the front runner expected to be the next Democratic presidential nominee for the 1924 elections. (December 1, 1857 – October 14, 1925) was a Democratic politician, the 28th Governor of and a United States Senator from the U.S. state of Indiana. Born into a large impoverished family, he took many jobs as a child including working in a coal mine. He taught school and studied law, becoming a prominent state lawyer. He became active in his local politics and eventually secured the Democratic nomination for governor. Because he served during the state’s 100th anniversary he is sometimes called the Indiana’s Centennial Governor. He was responsible for implementing many progressive era reforms in the state and putting down a violent riot in Indianapolis. He gained the support of the Indiana Ku Klux Klan for his anti-Catholic political positions, and with their support was elected to the United States Senate in 1922. He had become popular among the national Democratic party as the front-runner for the Presidential nomination in 1924, but he dropped out of the race because of his failing health. The Klan was one of the most influential groups within the state at the time, and they reprinted his speech and circulated it. Their support of Ralston was one of their most forceful attempts to have a candidate elected in Indiana, as they feared the Republican candidate who had publicly condemned the organization. The Klan fell apart in 1926—the year after Ralston’s death—after a scandal, revealing that the majority of Indiana’s politicians, including Ralston, had ties to the Klan. Ralston won election to the United States Senator from Indiana defeating Albert Beveridge in November 1922. The New York Times ran a lengthy story on his wife, referring to her as a “Chicken Farmer” because she was reluctant to move to Washington D.C., she did not want to leave her chickens unattended. He took up his Senate seat on March 4, 1923. In the senate he advocated the adoption of the Melon Tax Plan, which was effectively a wealth redistribution plan. In 1924 he was the front runner and expected to be the Democratic presidential nominee, but for reasons that were unknown at the time, he dropped out of the race just before the national convention. He later revealed that due to his failing health he did not believe he was fit to become President. His steadily worsening health lead to his death on October 14, 1925, he died in his home near Indianapolis. He was buried in the Oak Hill Cemetery in Lebanon. A Circus Horse in Battle. Colonel Charles Marshall, who was aid-de-camp to General Robert E. Lee and who went through the battles of the war with his chief told the following amusing story of his experience with a new horse: His old horse had been shot from under him in the fight of the previous day, and he had taken possession of an animal that seemed to suit the work. In the battle a few hours later he was riding across a field in which there were numerous stumps. Suddenly the performance opened. The guns roared, and the air was filled with smoke and noise. Before Colonel Marshall knew what was happening the horse had his four feet on one of the stumps and was gaily dancing in a circle. In the meantime the firing was increasing, and the situation was anything but comfortable. But the horse kept on as if he were enjoying it. He was a personal aide to General Lee during the Appomattox Campaign, was born in Warrenton, Virginia in 1831. He was the great-grand nephew John M. Marshall, Chief Justice of the U.S. Supreme Court (1801-1835). Charles Marshall himself studied law but resigned from his Baltimore law firm after the war began. He joined Lee’s staff as an aide-de-camp in March 1862 when Lee was advisor to President Davis. Marshall’s legal training proved useful in drafting military legislation for submission to the Confederate Congress. After Lee assumed command of the Army of Northern Virginia, Marshall’s duties included preparing drafts of Lee’s dispatches. It was Marshall who penned Lee’s first response to Grant’s proposed terms for surrender. His letter requested the interview for that purpose. Initially General Lee asked Colonels Marshall and Taylor to accompany him to the conference with Grant but Taylor declined. Consequently, with Lee for the meeting were Marshall, orderly Pvt. Joshua Johns, and members of Grant’s staff Col. Babcock and his orderly Capt. William Dunn. Upon reaching the outskirts of the village, Marshall and Johns road ahead to find a suitable place for the meeting. The first white citizen they encountered was Wilmer McLean. At some point after the surrender meeting Lee directed Marshall to write a farewell letter to his army. Interrupted constantly, Marshall finally moved to General Lee’s ambulance to complete the historic task on the morning of April 10th. The Evening Journal, June 4, 1872. Hoosier State Chronicles. 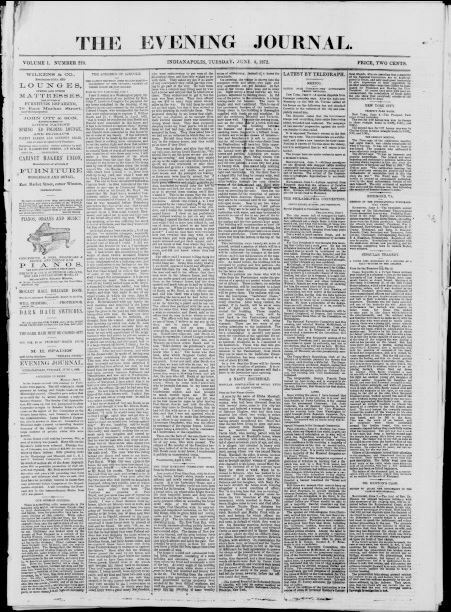 The following front page of The Evening Journal, Tuesday June 4, 1872, contains an article detailing the testimony taken from farmer Richard H. Garrett who, unknowingly, harbored John Wilkes Booth in his barn the day the Union army arrived on his land, set his barn on fire and shot Mr. Booth to death. This article can be found at the top of the second column from the left. There is another article entitled, “Our German Citizens” contained within this newspaper image. 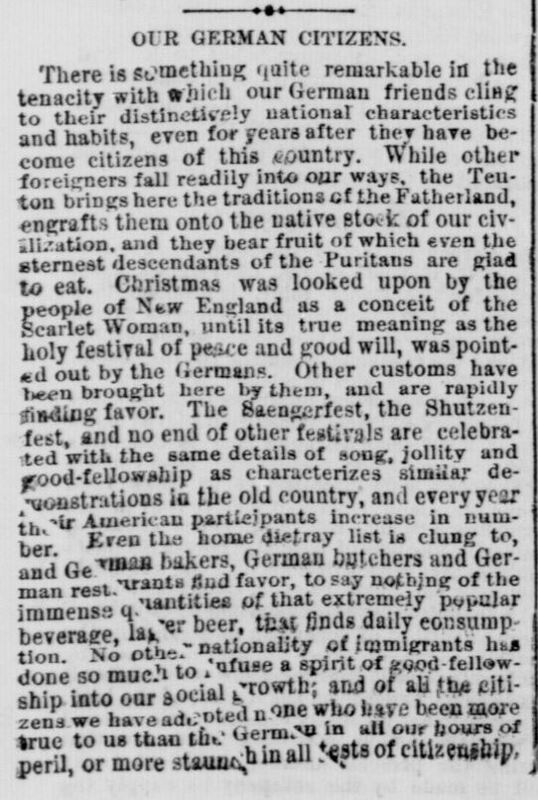 This is a very flattering article describing how no other immigrants in our country / state have offered so much to the very growth and development of our country/state than that of the German immigrants. It goes on to describe how the German’s were able to successfully do all of this while maintaining their heritage and culture, unlike other immigrants that lost their traditional ways through cultural assimilation. This article can be found at the bottom of the first column from the left. 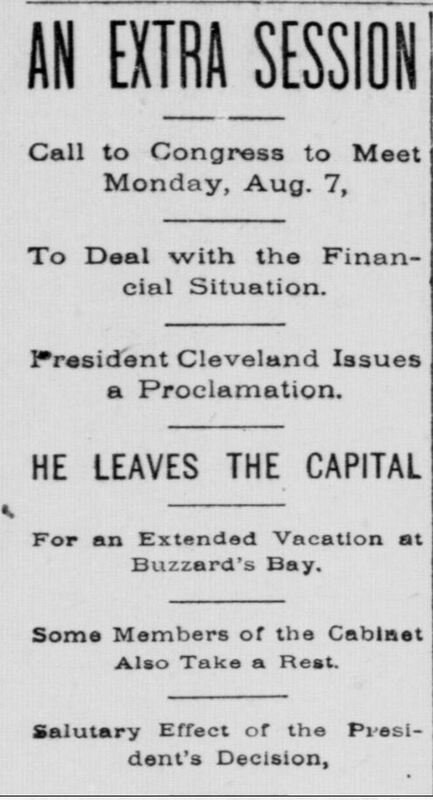 Plymouth Tribune, July 29, 1909. Hoosier State Chronicles. Gives History of Pottawatomie Indians in Marshall County. Wm. 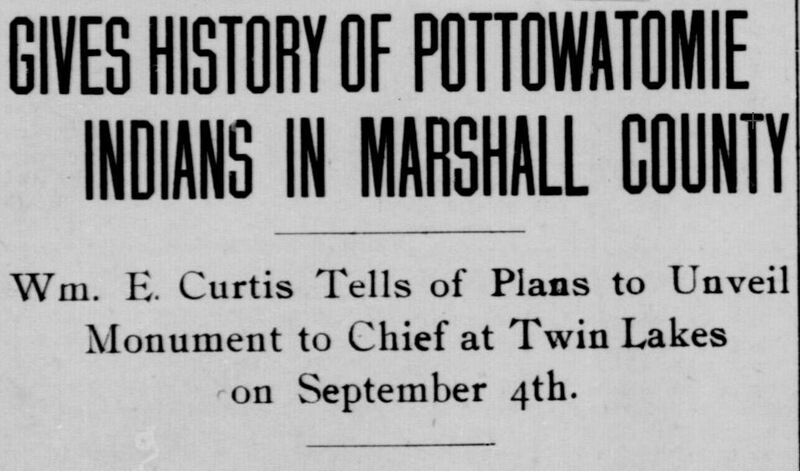 E. Curtis Tells of Plans to Unveil Monument to Chief at Twin Lakes on September 4th. The celebrations of the anniversaries of Hendrik Hudson and Sieur Champlain are serving an important purpose in reviving a interest in historical events and in stimulating the study of our own short past as a nation. In collecting material for a series of articles upon monuments which have been erected to American Indians I have found that much more attention has been paid to the subject than I had supposed, and there are historical societies supported by public appropriations in many of the states as well as private organizations which are keeping alive stories of heroism and sacrifice among the aborigines as well as the explorers of the continent and the pioneers of our civilization. Within the last year no less than five new monuments have been erected to American Indians, the most of them have been a tardy recognition of nobility of character and obligations for services rendered the white race, while others have been erected to emphasize wrongs that cannot be otherwise redressed. The latter is particularly true of a monument which is to be dedicated Sept. 4 next at Twin Lake station on the Vandalia Railroad, in Marshall County, Ind, near the center of the former reservation of the Menominee band of the Pottawattomie Indians, who were driven from their homes by military force under the authority of the government of the United States amid circumstances of merciless injustices. The monument, which is now being put into position, consists of a pedestal of bare granite ten feet high, supporting a statue seven feet high, of an Indian chieftain in ceremonial dress. It bears the following inscription. 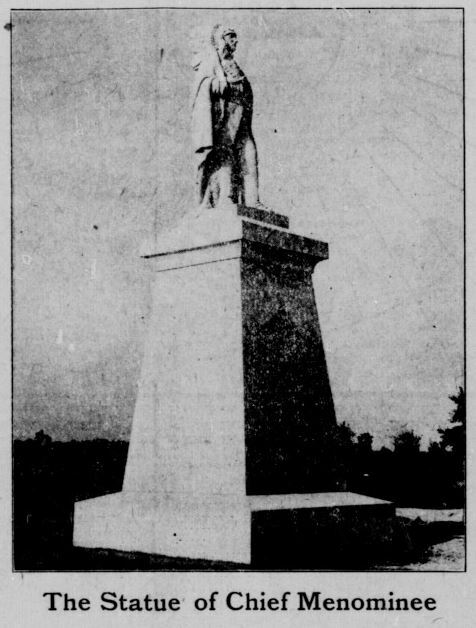 The monument will be dedicated on the 71st anniversary of the eviction with appropriate ceremonies and will be unveiled by a grand-daughter of the late Pottawattomie chief, Poka-gon of Hartford, Mich.
Plymouth Tribune, September 9, 1909. Hoosier State Chronicles.